You might play bass every day but if you don’t focus on the right things progress will be slow. Here are my top 8 tips for becoming a better bass player. 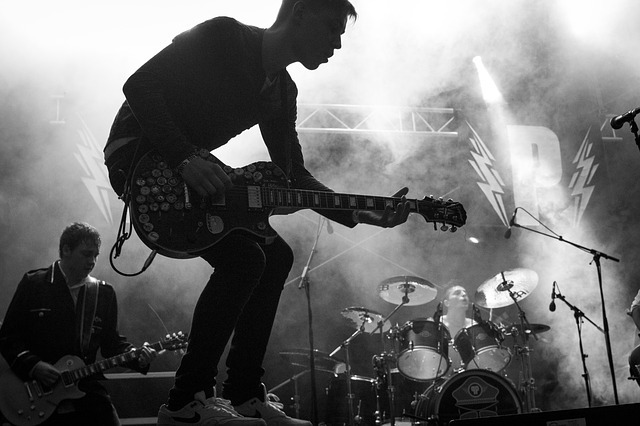 Believe it or not, becoming a better bass player is something that can happen fairly quickly. All it takes is a simple shift in your mindset and practice routine and you’ll be on the right track. Once you know the right things to focus on it will change the way you listen to music, play your bass, and interact with other musicians. Take a look at my top 8 tips below and find out what makes a good bassist. As listed in our article on common mistakes that bass players make, listening to music is the single most important thing you can do as a musician, and exposing yourself to a variety of styles is equally as important. When listening to other genres you’ll quickly pick up on new time signatures, rhythms, sounds, and techniques that you’d otherwise never be aware of. These can quickly find their way into any kind of music you play, and it will help you expand your musical vocabulary so you aren’t just playing the same things over and over. The bassist who listens to funk, jazz, metal, folk, and country is going to have a huge advantage over the bassist who strictly listens to metal. It might take a little bit of effort in the beginning, but once you discover a few songs you like in a new genre you’ll begin to have a better understanding of what “good” music is and how the bass guitar supports each style. Having this extra knowledge will help inspire you when it comes to writing new music and it will aid you immensely when improvising since you’ll have a greater library to pull from in your brain. As an added bonus, listening to good music has been proven to release a mood-enhancing chemical (dopamine) in your brain. 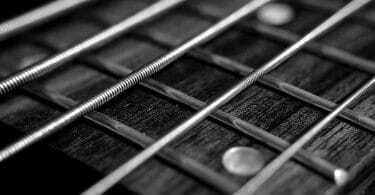 The major scale is the first scale you should learn on bass and for good reason. Just about every single scale, chord, and piece of music theory you’ll ever learn is constructed from the major scale in one way or another. Think of learning the major scale as “unlocking the fretboard”. You’ll begin to see the bass guitar in a new light and see how all the notes and shapes interact with one another which is essential for truly becoming comfortable with your instrument. Playing along with jam tracks or a metronome can be great for practicing your skills, but playing with other musicians is where the true learning takes place. It’s the unpredictability and spontaneity of playing with others that truly makes your brain spin, and it’s what forces you to glue together all that you’ve ever learned into one moment to make great music. If you don’t have anybody to play with, try going to a local jam session in your city. There will be plenty of people there just like you who want the opportunity to jam with other musicians. Who knows, you might meet some new friends who you can jam with on a regular basis. Learn some standards before you go however so you aren’t unprepared! 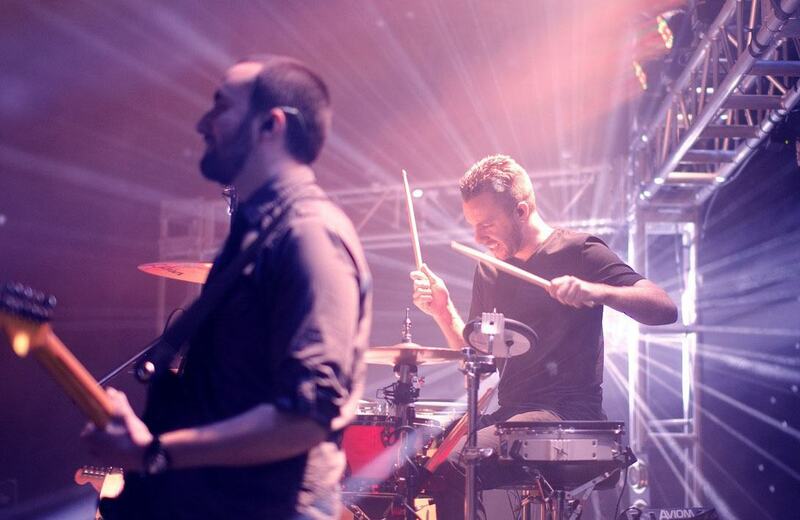 Besides keeping solid time, one of the major functions of the bass player is to lock in with the drummer. This does not mean that you need to play a bass note only when the drummer hits their bass drum. If this were the case you’d be a slave to the drummer, not have any creative freedom, and the result would be a boring tune. Locking in with the drummer means being on the same page, but still with each having their own timing, syncopation, and intonation. There should be moments where the bass drum and bass guitar are locked in unison, and there should also be times when one allows the other to breathe or stand out. This creates tension and release which is an essential part of any song. You can think of it like a discussion. You need to talk (by playing) and listen to each other to maintain the same tempo and agree on where the downbeat is for the rest of the band. Great bassists will listen to and accentuate the drum beat, and great drummers will listen to and accentuate the bass groove. By far the fastest way to get better at playing bass guitar is through a teacher. While there are some great online bass lessons out there, it’s really hard to figure out what to focus on let alone how to correct your technique mistakes. With a teacher you get individual attention, custom exercises tailored to your specific needs, and the eyes of an experienced bassist to correct any posture or technique pitfalls that you might have. Being able to sit down 1-on-1 with someone who has been through it all and have them create a custom lesson plan for YOU is completely worth it no matter what your skill level may be. Ear training is the ability of a musician to identify certain musical elements such as notes or intervals while reading, listening to, or thinking about music. It’s what will allow you to hear something, whether in your head or on the radio, and then instantly play it without having to look up tabs. It’s a great skill to have and an essential one for improvising. Many great bassists picked up improvising by hearing a tune while watching TV and then trying to play it on bass. This constant trial and error is what allows you to identify intervals and scale degrees accurately and each time you try it you get better. The next time you hear a catchy melody somewhere, try to visualize the bass guitar in your hands and imagine playing it. Think of how far apart each note is and where it is on the fretboard. Later that day, grab your bass and try it out. See how close you were and then figure out how to play the actual melody. You’ll soon recognize those intervals much easier than before if you keep at it. Ear training is something you can practice without a bass guitar so there really is no excuse! If your fretting hand is what guides you on your journey, then your picking hand is the engine. Want to know how to get better at playing bass? Work on your right hand. It really is one of the best bass guitar tips. Far too many bassists ignore the technique in their picking hand and focus solely on being able to play fast with their left hand. The truth of the matter is that you’ll only be able to go as fast as your right hand can take you. Proper alternating finger technique is an absolute must if you want to play fast licks, and if you are playing with a pick you’ll want to nail down things like alternate picking and string skipping. When it comes time to play with other musicians most people will want to show off what they know and impress others. You didn’t spend all that time practicing those fast licks for nothing, right? Pretty much any professional bassist or teacher will tell you that less is more and that you should only play what is needed to help support the music. In this day and age of YouTube it’s easy and tempting to throw up a video of an impressive run and get tons of praise. What people might forget though is how simple the basslines really are in the popular music you listen to every day. 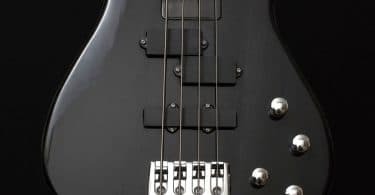 The most impactful and musical thing you can play as a bassist will be something simple that supports the underlying chords and locks in with the bass drum. The best sign of a good bass player is whether or not they support the music, meaning knowing when to lay back and let the other instruments come through - which as a bassist should be the majority of the time.